Recently many publishers have strict requirements about the fonts used in camera-ready paper submissions. Specifically, they require authors to substitute Adobe Postscript Type 1 fonts for any bitmap fonts (e.g., Postscript Type 3 bitmapped fonts, PCL fonts, MacOS bitmap fonts, Windows vector (outline) fonts). Being the Proceedings Chair of ACM PODS 2005, I set up the instructions for camera-ready submissions. In the process of editing the proceedings, I saw many common problems for authors to meet such a requirement. I wrote this page so that it may benefit other authors with similar problems. As always, comments are very welcome. How do you tell what fonts your pdf file is using? The following are some general font requirements by ACM. Authors should substitute Adobe Postscript Type 1 fonts for any bitmap fonts (e.g., Postscript Type 3 bitmapped fonts, PCL fonts, MacOS bitmap fonts, Windows vector (outline) fonts). Bitmapped fonts display poorly on screen in PDF files and sometimes cause printing problems. 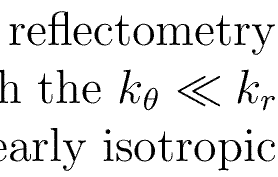 Whenever possible, please substitute Type 1 Postscript fonts for Type 3 fonts in LaTEX files, then generate PS or PDF. 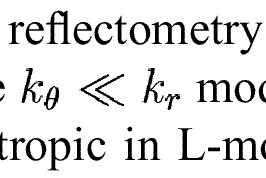 LaTEX FILES: PDFs generated from LaTEX files generally do not display well on screen because the fonts that are generated from LaTEX for the PDFs are bitmap images. The simple reason for having these requirements is to make sure your PDF papers can be displayed nicely when they are browsed by people. Type 1 fonts are displayed much better than Type 3 fonts, even though the paper in Type 1 fonts may print the same as the one in Type 3 fonts. Click this page to see good examples to illustrate the quality difference of different fonts. I copied their examples here. Here are examples from pdf files viewed in Acrobat Reader at 400% zoom. When you open your PDF file using Adobe Acrobat Reader, go to "File --> Document Properties --> Fonts" to see the fonts used in your PDF file. Make sure to click "List All Fonts" to see all the fonts. You may also bring up this box by typing "Ctrl+Alt+F". The following is an example. Check this link for more information about the options. If your PDF file includes type 3 fonts, you may check the following to get rid of such fonts. Check if this file exists. If it does, it means your environment misses some fonts, and needs to install them. Check this link for more information. * xfig "patterned" shapes are implemented with bitmap fonts. As an example, the following two xfig files both draw the same circle. The file "pattern.fig" uses a "patterned" shape to draw the circle, and its corresponding "pattern.pdf" is using a type-3 font. 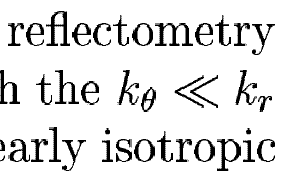 The file "solid.fig" uses a "slide" shape to draw the circle, and its corresponding "slide.pdf" is not introducing any type-3 font. Type-3 fonts in xfig, http://leon.bottou.com/nips, Search for "xfig"